Meow-Meow is a rhythm creator which uses cat sounds as its source. I wanted to learn more about Processing, a programming language designed for creating visual and interactive art so took a short course on Creative Programming for Digital Media & Mobile Apps. 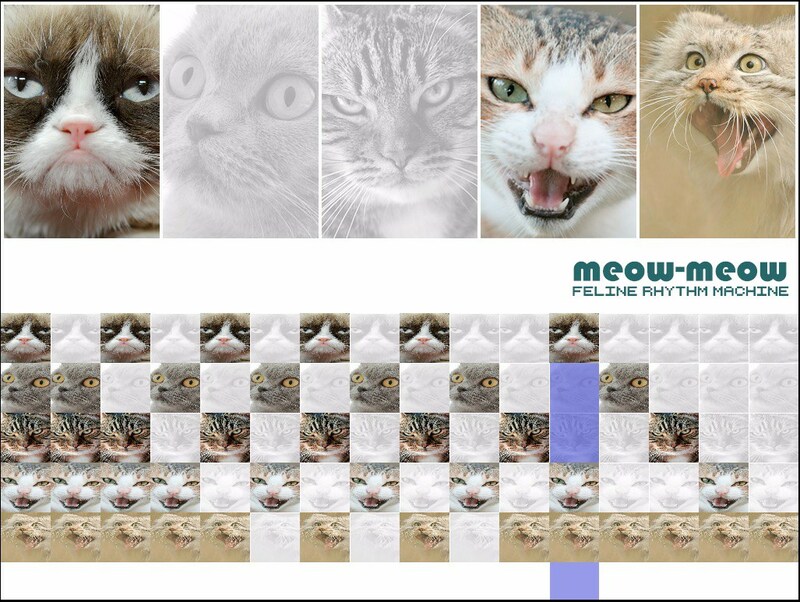 Part of the work I created for this course was Meow-Meow. So how does it work? 5 samples can be toggled using the 16-step grid at the bottom of the device. Once triggered the filter and pitch of these sounds can be manipulated by dragging on the cat images at the top of the device. Meow-Meow works best with a large screen and does not function well on a mobile browser. I’ve begun to re-write this using p5.js, so it can be fully web-based with extra functionality and a more mobile-friendly structure. In the meantime, please enjoy a video of Meow-Meow in action!